This Victorian-era, dystopian hyperkinetic fighting game packs a punch. Speed Brawl throws players into a balletic symphony of lightning-quick combat through the dank locales of a dystopian London in an all-out bloodsport. Filled with armored brutes, vicious aliens, and outlandish bosses, the world of Speed Brawl captures the humor and over-the-top action from over three decades of cult classic cinema. Speed Brawl has been built from the ground up to be a stylish experience based around maintaining the player in an intense sense of flow. After a decade of war with the Selenites, the British Empire finally vanquished the insect-like menace, thanks to a dashing Commander by the name of Hugo Wells. In order to satiate the masses, Hugo Wells conceived of the ultimate sport where only the bravest and fastest warriors could wage a petty war against the enslaved Selenite hordes. 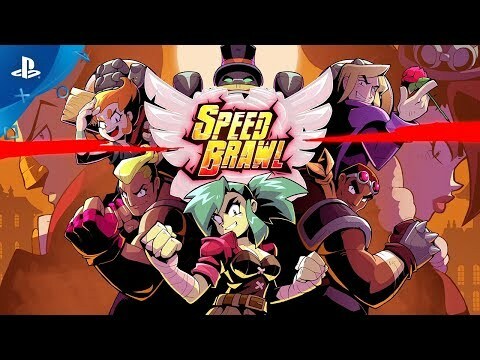 The fast and hard-hitting combat in Speed Brawl forces players to maintain momentum , while judiciously managing the available energy used to unleash powerful special moves. Upgrade and customize your fighters through the acquisition of equipment and unlocking new and improved skills. Build your team from a rag-tag group of fighters to navigate the game's dangerous environments.